Isn’t she beautiful!? Well… not yet, but she plays beautifully and her bones are good, which is exactly what I wanted. 1. Avoid extreme heat/humidity in the location. Like, don’t put it right in front of a huge window with blaring sun. Pianos are tanks for sure, but we all have our limits! If I paint, I am thinking a deep, dark blue. What do you think? Love the piano! But don’t paint it! 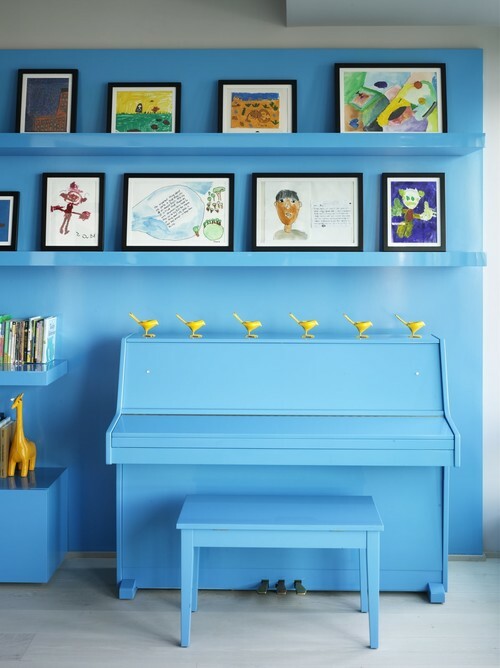 Personal opinion — painting a piano is a trend that makes the piano look more like a toy than a valued piece of furniture. 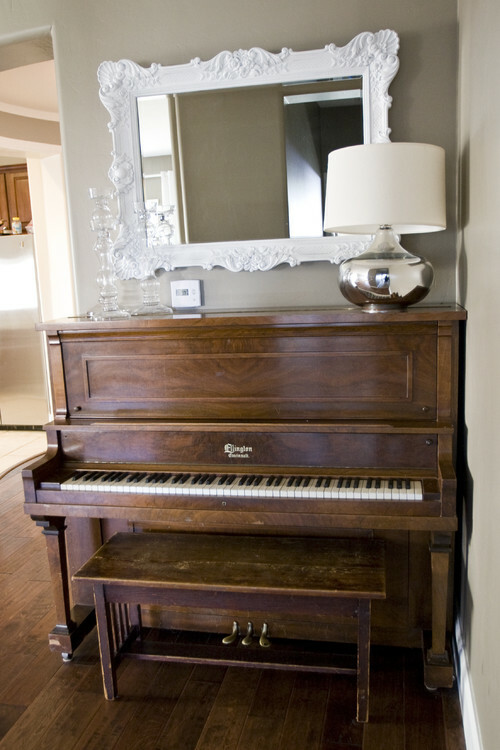 Change the hardware, polish and stain the piano & paint the wall behind it, but leave the musical instrument alone! okay… you have me thinking. I agree with Andi, polish and stain the piano but don’t paint it. Painting is trendy and you won’t like it forever. A piano is beautiful just the way it is! So agree on paint making it look like a toy!! DO NOT PAINT IT!! Deep dark stain sounds great, though. I’m excited for you! And did I tell you we put our baby grand in the office? 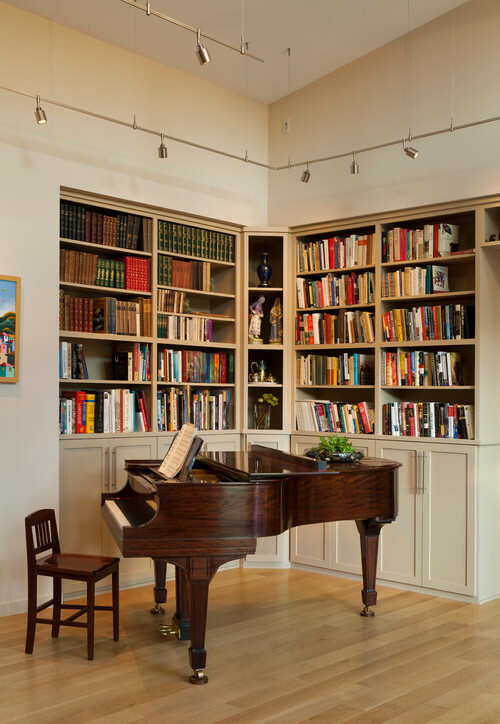 I’ll need to take a pic, because a piano and books really are a great combo. I guess we now have a “conservatory” instead of an office. I like it. Three trusted opinions. Painting is out. I am loving deep stains. There are some pretty scary spots on the piano, even Mike gave me a thumbs up on re-staining, that is saying something!